She’s known for her classic beauty and glamorous wardrobe, but now Dita Von Teese, 40, has launched her own collection of make-up with ARTDECO. The Dita Von Teese Golden Vintage Collection (left), allows you to create a classic Hollywood look – think burlesque red lips, glowing skin and thick, luscious lashes, perfect for Christmas Eve. With its luxe gold casing and embossed, shimmering powder, the Golden Vintage Candlelight Powder, £30, is our pick. 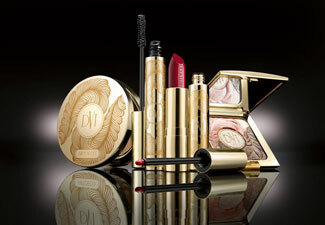 The ARTDECO Dita Von Teese Golden Vintage Collection is available now at Debenhams.